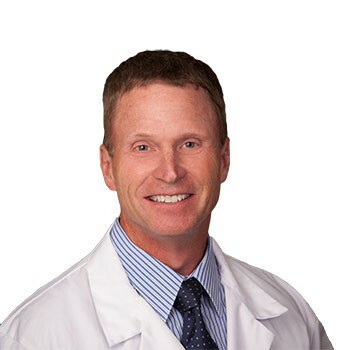 Mark J. Conklin, MD is board certified in orthopedic surgery, specializing in adult and pediatric foot and ankle care. Dr. Conklin received his medical degree from the University Of Cincinnati College Of Medicine. He then completed his internship and residency at Indiana University Medical Center in Indianapolis, Indiana. His fellowship in foot and ankle surgery was completed at the Balance Foot and Ankle Center in Long Beach, California and UCLA/Harbor Medical Center under the prestigious Ronald W. Smith, MD and William S. Stryker, MD. “I enjoyed science when he was young and wanted to apply that to caring for patients. When I went to medical school and completed my rotation in orthopedic surgery, I found that I really enjoyed fixing broken bones and the gratification that you get from helping someone feel better.” During his orthopedic residency he enjoyed correcting deformities of the foot, such as club foot in children and bunions in adults – that is what ultimately led him to become a foot and ankle orthopedic surgeon. Dr. Conklin is passionate about treating patients with foot or ankle deformities – correcting bunions, hammer toes and for people with arthritis, he enjoys ankle replacements and toe replacements. He also sees a lot of athletes with ankle sprains, Achilles tendonitis, fractures, overuse injuries and plantar fasciitis. He regularly performs arthroscopic surgery on athletes and individuals who have persistent pain in the ankle. While Dr. Conklin enjoys treating these general foot and ankle conditions he is also a sought after specialist in ankle replacement and toe replacement. He has been performing ankle replacements for more than 15 years and in that time has completed more than 300 ankle replacements. In addition, he has completed more than 150 toe replacements in the last 5 years. Dr. Conklin is one of the most experienced and trusted resources the Rocky mountain region for ankle replacement. He takes on some of the toughest cases including revision surgeries and ankle deformities. 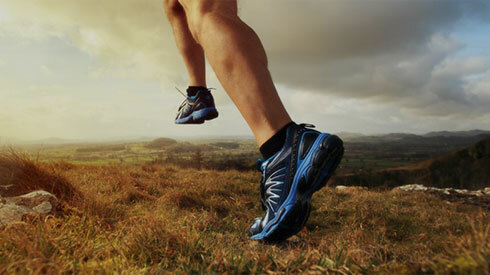 He has been trained on and is experienced with five different types of ankle replacements. Dr. Conklin is a leader in the field of orthopedics and has held and continues to hold leadership roles in the orthopedic community. He was previously the chairman of Lutheran Hospital Orthopedic Department, President of the Woodridge Orthopedic Group, and President of the Panorama Investment Management board. Today he is the President of the Golden Ridge Surgery Center, President of the Rocky Mountain Foot and Ankle Society and president elect of the Panorama Orthopedic and Spine Center. He is a member of the Orthopedic Foot and Ankle Society (AOFAS), The American Association of Orthopedic Surgeons (AAOS) and a member of the American Medical Association (AMA). When he is not working, Dr Conklin enjoys golfing, skiing and biking. Dr. Conklin sees patients at Panorama’s office in Golden. Sherry Fushimi, PA was born and raised in Colorado. She attended the Univeristy of Colorado in Boulder and was a student athletic trainer for the athletic department throughout college. Sherry graduated from PA school in Brooklyn New York and went on to work as a PA in General, Vascular and Thoracic surgery, Orthopedic and Nuerosurgery, and Plastic Surgery prior to joining Panorama in 2005. She works with Dr. Conklin treating foot and ankle patients and occasionaly works with sports medicine patients as well. When Sherry is not at work she enjoys CrossFit, skiing, mountain biking, scuba diving, running and spending time with her family.